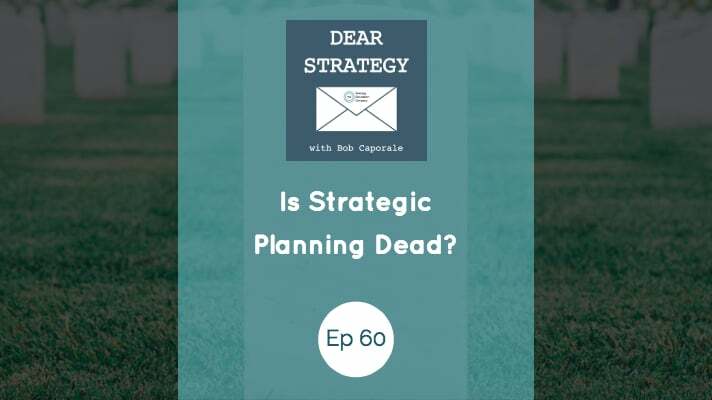 Dear Strategy - Dear Strategy: 060 Is Strategic Planning Dead? All, in all, it’s a fairly short read, but the general idea is that, in today’s fast-paced, high-tech environment, planning more than 3 to 6 months out is more or less a fruitless effort. Instead, the author suggests focusing on building a strong team and accompanying culture that can remain agile in the face of fast and necessary change. Of course, this isn’t the first time this subject has been tackled. 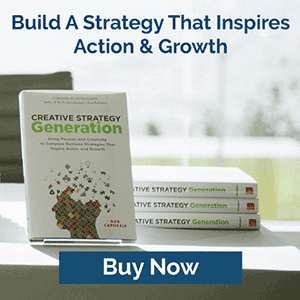 In fact, a quick Google search of similar keywords reveals any number of articles that have been written in the past several years, all of which proclaim the death of strategic planning in some shape form or fashion. This, it seems, has become something of a trend. And, seeing as how I make my living helping companies do the very thing that is apparently no longer necessary, I thought I should at least ask myself how accurate these claims really are. So, in short, is the discipline of strategic planning really dead? Taking the somewhat more academic route first, I’m reminded that one of the pre-eminent strategic thinkers of our time, Henry Mintzberg, addressed this very subject in his famed article entitled “The Fall and Rise of Strategic Planning,” which he wrote for Harvard Business Review all the way back in 1994. (NOTE: He also addressed this same topic in his book of a similar name, The Rise and Fall of Strategic Planning). His approach, of course, had less to do with the advent of fast-moving technology and more to do with differentiating between the practices of strategic planning and strategic thinking – with the former being based mostly in formal analytical techniques, and the latter being based in synthesizing information using creativity and intuition. My interpretation of his position is that business strategy is not something you can execute based upon some predictable analytical formula. Instead, you have to dynamically shape your strategic future through some combination of data, creativity, and gut instinct. And, on this point, I wholeheartedly agree. Call it what you want, but the idea of using facts to inspire creativity is what I happen to be all about – and mostly because I’ve seen it work in practice time and time again. That position, however, is much different than embracing the thought process that planning more than 6 months out is a wasted exercise. Although I completely agree that technology is moving at a faster pace than most companies can currently predict, and I also agree that building creative and agile teams are key factors for success in that environment, I can’t seem to get behind the idea that this somehow translates into forgoing any type of a longer-range plan. Behind the scenes of any great company, someone needs to be looking out for the bigger picture. That is, anticipating where the market is going, predicting what the competitors are likely to do on a larger scale, and planning to build up the company’s capabilities to be able to drive the market rather than simply reacting to it. This type of “strategic thinking,” although dynamic and intuitive in nature, will inevitably require a much longer-term view than simply looking 3 to 6 months out. 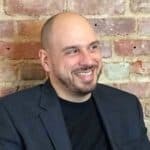 In my experience, when companies do not have any type of a long-range plan, they lose focus – meaning they end up zig-zagging around; chasing after the next shiny object rather than looking more deeply at how they can truly innovate and impact the world in a way that nobody else has done so before. If your plan changes every 3 to 6 months, I just can’t see how any company will have the emotional fortitude to take any of the bigger chances or to make any of the larger investments that will be required to have an impact of that magnitude. With all of that said, I do agree that a short-term focus is also required. And I also feel that building a solid talent base to focus on that shorter-term execution is key as well. But to do all of that as a substitute for any type of a longer-range plan is, I believe, a recipe for being overly reactive, as well as an invitation for other companies to innovate ahead of your own. 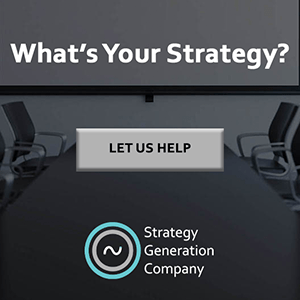 So – no – I do not believe that strategic planning is dead. It is evolving, just as it should be, right along with the latest tools, technologies, and products that we now have at our disposal. Perhaps it needs to be more fluid; perhaps it needs to be less formal; perhaps it needs to be supplemented by more creative thinking, intuition, and agility. But I can’t, in good conscience, suggest that the practice of strategic planning – or whatever you care to call it – be abandoned altogether. Because, if you do, I fear that someone will come along and create a future that you failed to anticipate. And, maybe, just maybe, I’ll be the one who coached them to do so.